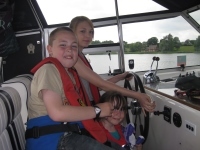 Further to the end of the hectic cruising years up to 2007 and the simple voyage of return of Lady Martina home from London to Horning in 2008, this very capable and under-used vessel was just used for local trips on the Norfolk Broads. 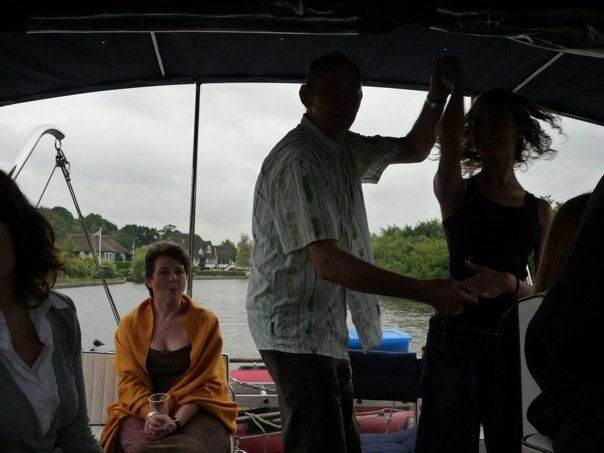 Visitors and lady friends of the by-now single skipper were lucky enough to be taken up and down the River Bure and several parties were organised at Heronshaw with the added attraction of a trip on Lady Martina as a pre-dancing and eating bonus! Some of the antics and people-loading feats are perhaps best not documented in too much detail but my frank and explicit journal web site www.davidabroad.com will reveal all in due course after 30 years!